After the cost of capital, there are two sets of inputs that determine the value of Equity. The First is the proportion of the earnings that we assume will be paid out in dividends; this is the dividend payout ratio and higher payout ratios will translate into more dividends for any given level of earnings. The Second is the expected growth rate in dividends over time, which will be a function of the earnings growth rate and the accompanying payout ratio. In addition to estimating each set of inputs well, we also need to ensure that the inputs are consistent with each other. For instance, a bank that payout out 60% of its earnings as dividends and earns a return on equity of 12% will have an expected growth rate in earnings of 4.8%. 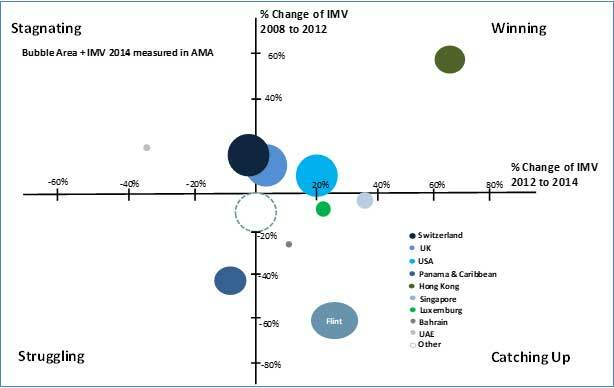 However, firms can deliver growth rates that deviate from this expectation, if the return on equity is changing. 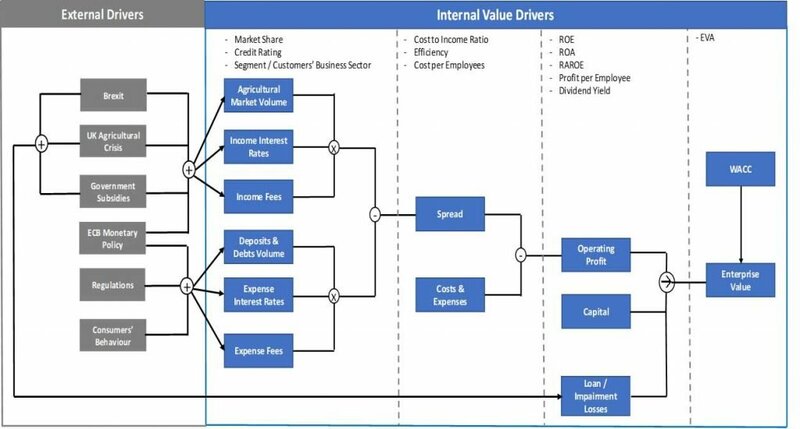 The model also allows to use an intrinsic value given business plan and economic and market conditions, as well as to explicitly model return and operating assumptions. The discounted rated or cost of capital (WACC) estimated using advanced CAPM. The use of Free Cash Flow also allows to explicitly model return and operating assumptions and can Accommodate advanced simulations techniques such as Monte Carlo. We tend to use it to check and test the Income approach results. 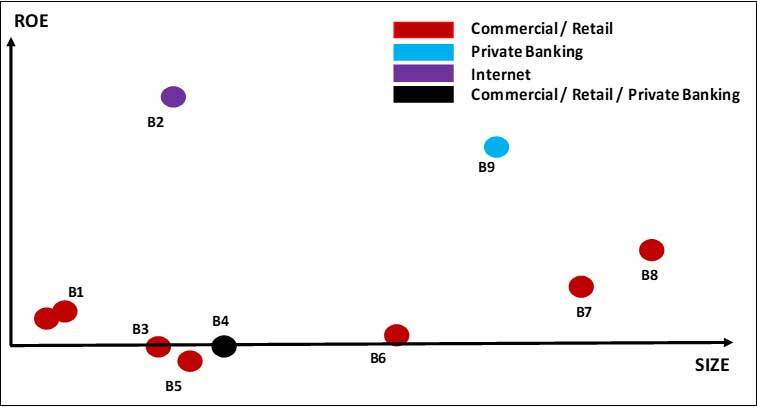 Our advanced analysis allows us to the risk-value flow and risk map where we identify all those business factors affecting the value of the Bank as shown in the sample of the figure below. 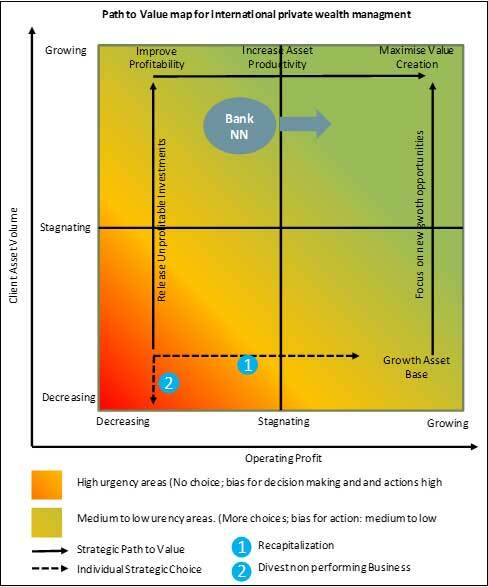 The risk-value mapping provides a more holistic understanding of the Bank itself. It traces and monitors risks related to market, strategy, macro economics, operations, etc. 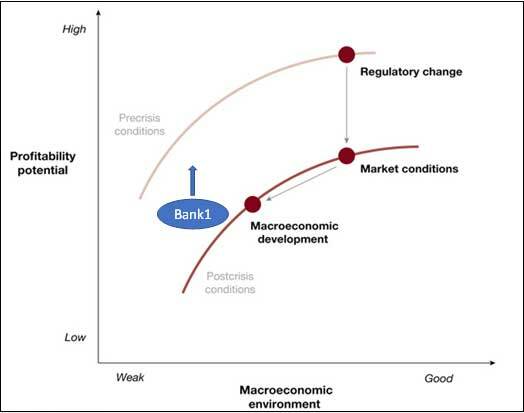 It also covers the overall approach to risks that have a more medium or long-term lifecycle (e.g. external risk). Risks can also be internal or external to the company. Some internal could include: Technological risk, operative risks, financial risks, etc. Some external risks could include: Country risk, country inflation, exchange rate, market risks, etc. 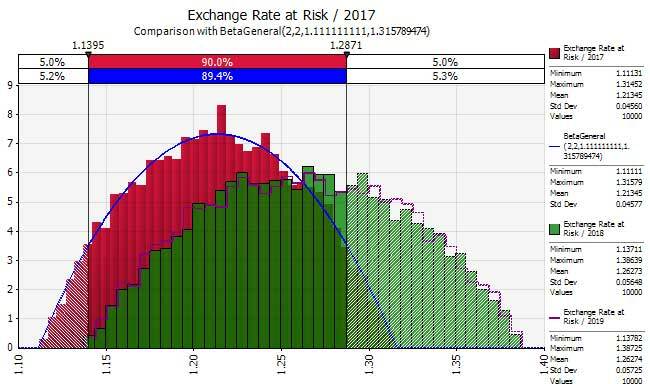 Each risk is measured and has its own profile in terms of frequency, volatility, standard deviation, regularity, persistence, probabability, etc. The assessment will be made according to each profile.